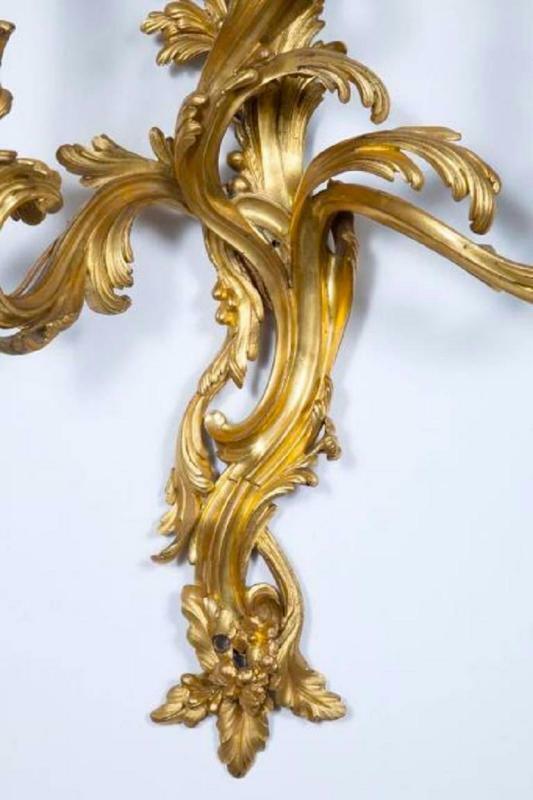 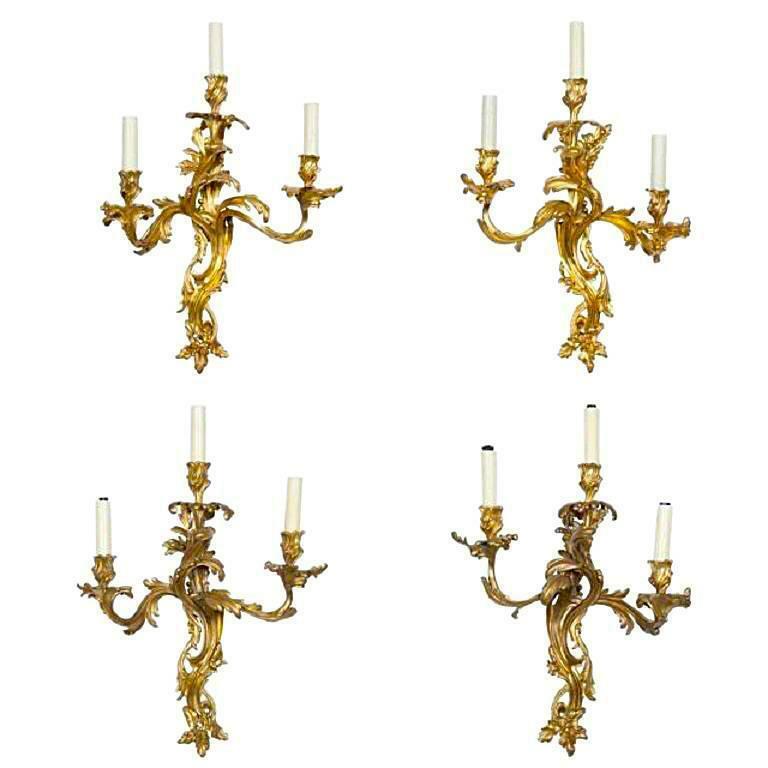 This collection of gilt bronze sconces in the rococo Louis XV style date from circa 1900. 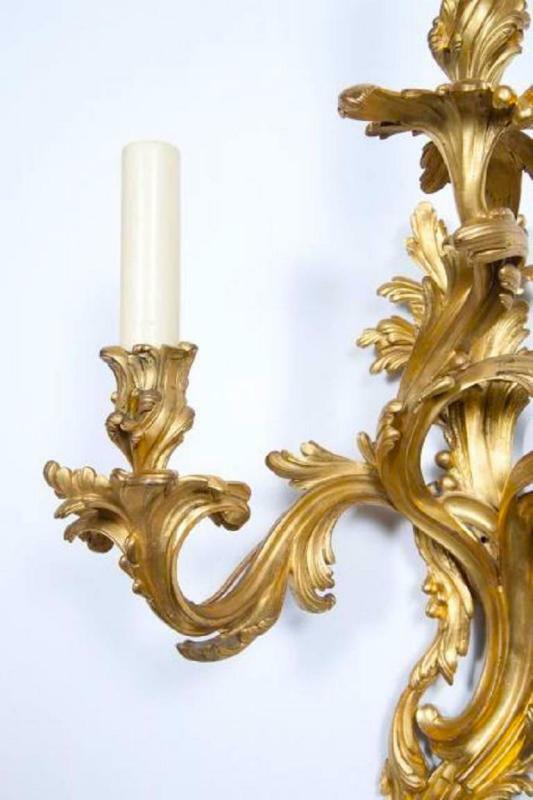 They feature foliate backplate with three scrolling candle arms, drilled for electricity with modern sockets and wiring, ready for installation. 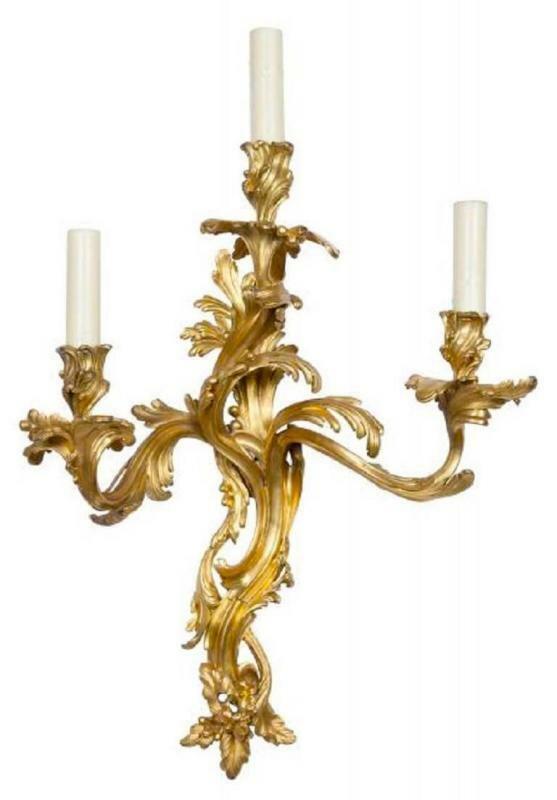 Measures: 23 x 18 x 4 in; 58 x 46 x 10 cm.